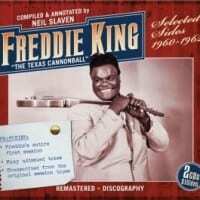 Not just another Freddie King compilation-this is a serious overview of his earliest sessions taken from the original 3 track session masters. 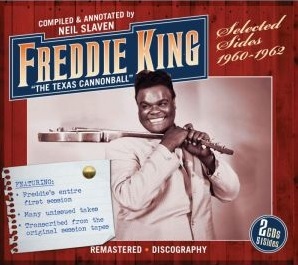 It includes the entire first session of August 1960 including studio chat and out-takes. An essential release for all blues guitar lovers. 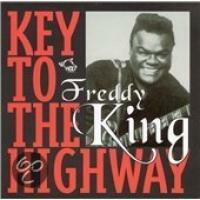 Freddie King was simply one of the absolute masters of modern guitar blues. These early sessions produced most of his best sides and created the template that both he and his many copyists would follow. 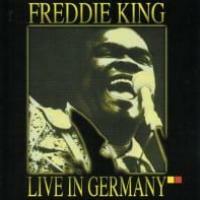 With a superb studio band, some terrific songs and particularly with his skill at coming up with memorable guitar instrumentals Freddie King was one of the original 'crossover' bluesmen. He had a huge influence on the 1960's British blues scene. 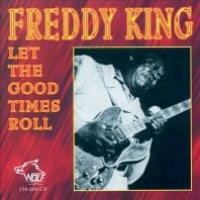 This is a release which is both a 'collector must' with it's unreleased takes and studio chat but is also a marvellous and accessible introduction to Freddie King for the latest generation to discover this amazing talent.